BOMA San Francisco Government Affairs & Industry News for Commercial Real Estate Professionals: November Election Candidate's Profile - BOMA San Francisco's Endorses for Supervisor in District 6 - Learn More About Christine Johnson + Volunteer and Donate! 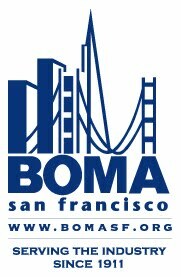 November Election Candidate's Profile - BOMA San Francisco's Endorses for Supervisor in District 6 - Learn More About Christine Johnson + Volunteer and Donate! The BOMA SF-PAC has endorsed Christine Johnson for supervisor in District 6. Please take a moment to learn more about Christine and, if you are so inclined, consider a donation to her campaign and/or volunteer. District 6 encompasses the in Union Square, Tenderloin, Civic Center, Mid-Market, Cathedral Hill, South of Market, South Beach, Mission Bay, Treasure Island, Yerba Buena Island, and Alcatraz San Francisco. Click here to donate to Christine's campaign. Click here to volunteer for Christine's campaign. My mother raised my sister and I by working nearly 7 days a week at two nursing jobs to provide for us. We moved every two to three years to keep ahead of rapidly rising rents. But, because of the amount of housing opportunity there was in NYC at that time- we never had to move more than a few buildings away. Childcare for me and my sister was always an issue. When a family member couldn’t watch us, we walked the streets of Chinatown or the Lower East Side or Spanish Harlem with my mom on her weekend job working with terminally ill patients or those just released from the hospital. Eventually when I got older, I was able to be more independent because the streets and transit were safe enough that I could be a latch key kid and didn't need adult supervision to get around. I experienced the culture of the world because artists could still afford to live in the city. Commissioner on the San Francisco Planning Commission. District 6 has been my home since I moved to Treasure Island 14 years ago. Our District is at the epicenter of the acute challenges facing San Francisco around homelessness, affordability and public health and public safety. I will be the Supervisor who will do the hard work needed to address these issues. I am running because I believe it is within our reach to build new housing and take away the fear of displacement. It is within our reach to connect anyone experiencing homelessness with permanent housing. It is within our reach to have safe communities where families can walk down the street without fear and without having to look down. It is within our reach to create a city where it is possible to live comfortably here at any life stage. I am running because I want to create a better District 6 for my family and yours.